I came to Editwrite in a very tricky situation since another editor had decided to stop working on my thesis, one week out from my PhD submission date. Richard very calmly guided me through the final stages of editing, and I was always impressed by his patience. Richard edited my work very thoroughly and didn't suggest any changes that interfered with my content or my voice as a writer. I will happily return to Editwrite in the future. Thank you for your service. I'm very satisfied with it. You even pointed out spelling errors in my program screenshots. That was really helpful since I did not notice the typos during the programming. I'll recommend Editwrite to my friends when they need the same service. Many thanks for your help. When I needed proof-reading, you provided me with immediate service. The efforts you have put in my work have improved my dissertation's English, and have made it more academic to read. I will continue to use your help in the future. I'd like to thank you for the work you've done with the editing, my dissertation reads so much better now. I've shown my supervisor and he is happy with the changes that you made, especially the comments you gave about the content of the dissertation. He said that he will definitely recommend you to other students. I expect to submit on Friday and because of the speed of your editing I am able to do so. Thanks again for the prompt delivery of my dissertation. Your helpful attitude throughout the entire process is very much appreciated. The service is professional, prompt and beneficial. I shall pass on my good opinions to anyone I know who requires editing service. After comparing prices and the range of services offered by a number of proofreaders, I chose Editwrite. It provided a meticulously professional service. I can honestly say that it added considerable value to my Master's thesis. This service was not limited to correcting individual mistakes, but also it strengthened my style and flow. Thank you again for such a wonderful editing job. I think the service you offer is fantastic, and quite beneficial to students. I received A- grades for the last two assignments I had edited by you. When I contacted Editwrite to proofread my MA thesis I was not convinced I needed to spend the money but my supervisor strongly recommended it. After getting my work back from Editwrite I was so pleased I had taken her advice - the little mistakes I had been convinced were not there were indeed there - in fact they were everywhere! I thoroughly recommend Editwrite as a fast, thorough and very accessible proofreading service for any work you want to feel confident about and proud of. I've just opened the essay you have edited for me. I feel I must write this email to thank you for what you have done to 'right' so many 'wrongs' of my essay. I've learned a lot from your professional editing. Thanks again. I am sure to recommend you to my friends and I am afraid I will continue to bother you with other essays of mine. My tutor told me my ideas were good, but I needed to sort out the incomprehensible grammar and spelling in my essays. I resubmitted it after getting you to work on it for me, and I got an A! Thanks so much. I now have a chance to get admission in the Honours course. I thought I had finished all the hard work writing my thesis until my supervisor pointed out that it would not be acceptable until I had had it professionally proofread and edited. I was very impressed with the improvement in it after your work on it. I appreciated also the many comments and suggestions you made at no extra charge. Definitely excellent value for money. I've always been a very poor speller, so I was really worried that my essay worth 10% of the final grade might get a low mark. Your correction of my spelling mistakes, as well as fixing up my sentence and punctuation faults, has made an immense difference to the final look of the essay. My tutor was very pleased with the improvement. Tim, 3rd year Engineering student, University of Auckland. Thank you for your help. I don't know how to indicate my satisfaction with your work. Perhaps the "A" on the last paper you edited for me can offer an appropriate answer." Thank you for editing my essay in such short time. I really appreciated it.The edited essay is great; it is not so wordy and repetitive anymore. I also really like the marginal comments, which were really helpful: they showed me what mistakes I have made so next time when I do another essay I can try to look out for them. Thank you once again. I had to think of several factors: cost, flexibility, quality and time constraints when selecting a proof-reader for my PhD thesis. 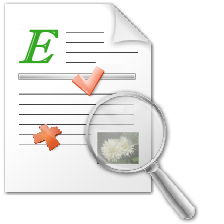 I selected Editwrite as the best option as it fitted with many of my requirements. 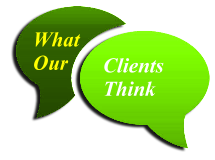 I am very satisfied with Editwrite's professional service and the comments given. I do really appreciate the promptness and responsiveness of the editor. I have been using Richard's Editwrite proofreading/editing service for ten years. Richard has been helping with proofreading my course work, my Master's thesis, all the way up to my PhD thesis. Richard has proven himself to be a very accurate and professional editor/proofreader and language expert. I am impressed with his high quality job, his punctual delivery and easy-going style of communication. With his help, I am more confident with the style, grammar, spelling and punctuation of my writing. I therefore strongly recommend Richard Gyde, an editor and proofreader par excellence.